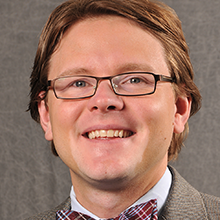 Dr. Jesse Jur is an Assistant Professor of Textile Engineering, Chemistry & Science at N.C. State University’s College of Textiles, the global leader in textile education and research. After receiving his undergraduate degree in Chemical Engineering, and then spending three years in Silicon Valley, he earned his Ph.D.in Materials Science and Engineering at N.C. State. Dr. Jur has spent the last 15 years researching the interfaces of technologies: from semiconductor device development to textile designs. His current research focuses on integration of systems electronics into wearable platforms for energy harvesting and monitoring of a person’s environmental and physiological states. He is the Technology Thrust Leader for “Wearability and Data” for ASSIST (Advanced Self-Powered Systems of Integrated Sensors and Technologies), a $38M USD National Science Foundation Nanosystems Engineering Research Center (NERC). He is also the co-director of the Textile Engineering and Textile Technology Engineering Design Program in the College of Textiles, an intensive course that interfaces students and industry for innovative product development.